As soon as I saw this mug, I knew it was something I had to have. Beauty and the Beast is my favorite movie and I work at a public library… how could I say no? Well, the funny thing about something like this is I’m not the only one who thinks it’s perfect for me. I had at least two friends tell me they bought me or almost got me this mug for my birthday… oops! The design is adorable. 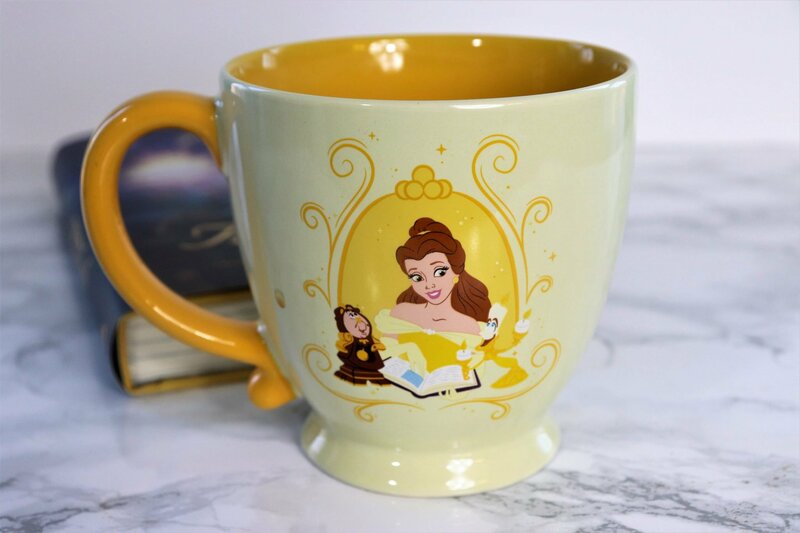 I like the style of the cup with the fancy looking handle and the fact that it looks a bit like a teacup, since of course Mrs. Potts loves her tea! 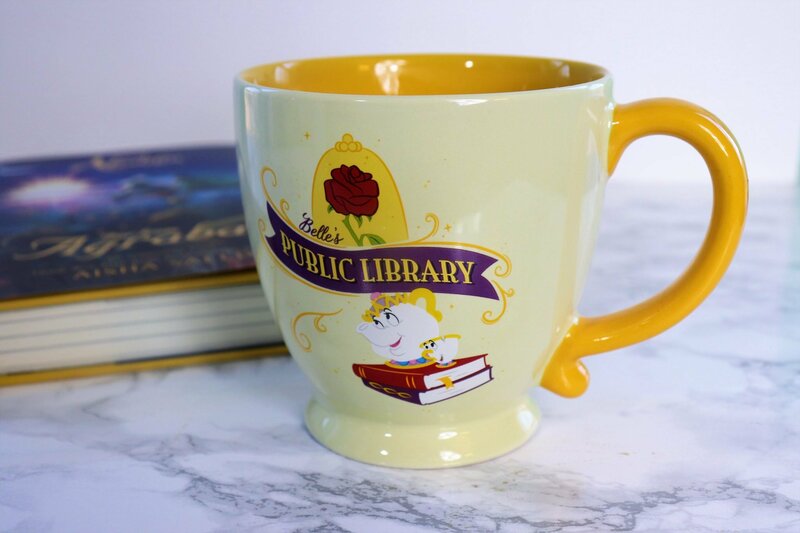 It has Mrs. Potts, Chip, the rose, and books over here, so what’s not to love? On the other side is a more “typical” Disney design, with Belle, Cogsworth, and Lumiere. 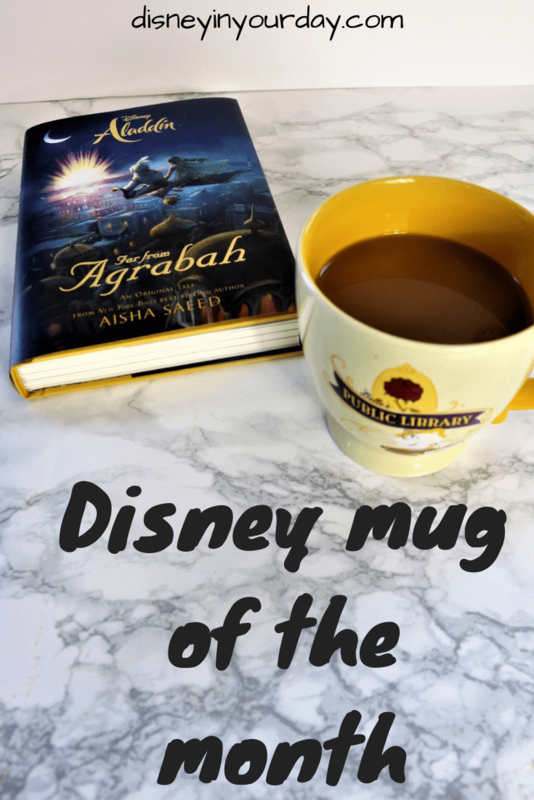 But fitting in with the theme of the mug, of course they are all reading a book together! I also like the styling of the background here. What’s in my mug: I just finished the last of my Jiko coffee from Joffrey’s – which means it’s time to order some new fun flavors! Since last time I did a Joffrey’s order I think I’m going to do Expedition Roasters this time around. I’m eyeing up Wonderland Coffee Crumb Cake, Ghoulish Delight Cinnamon Bun, Booksmart Blueberry Cobbler, and Redhead Rum. Which one should I go with? 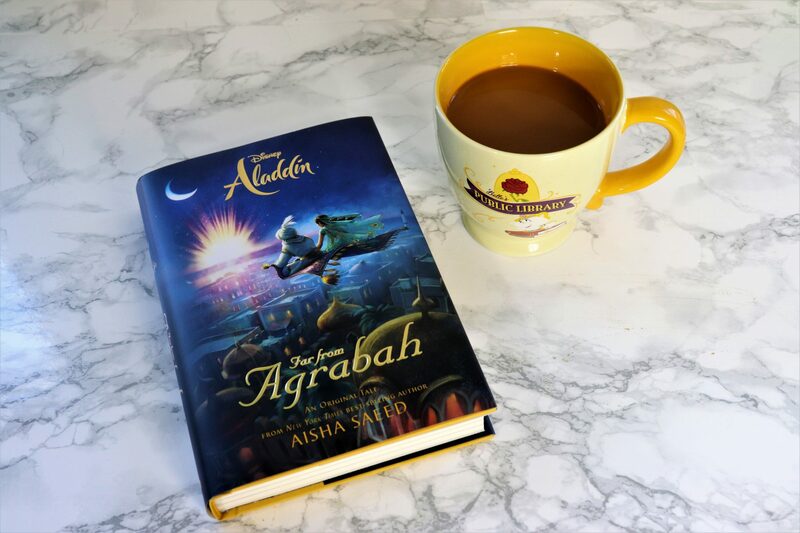 What I’m currently reading: I just finished reading Far from Agrabah, a story about Jasmine and Aladdin and their adventures on the magic carpet, which actually takes them to Prince Ali’s fictional kingdom of Ababwa. 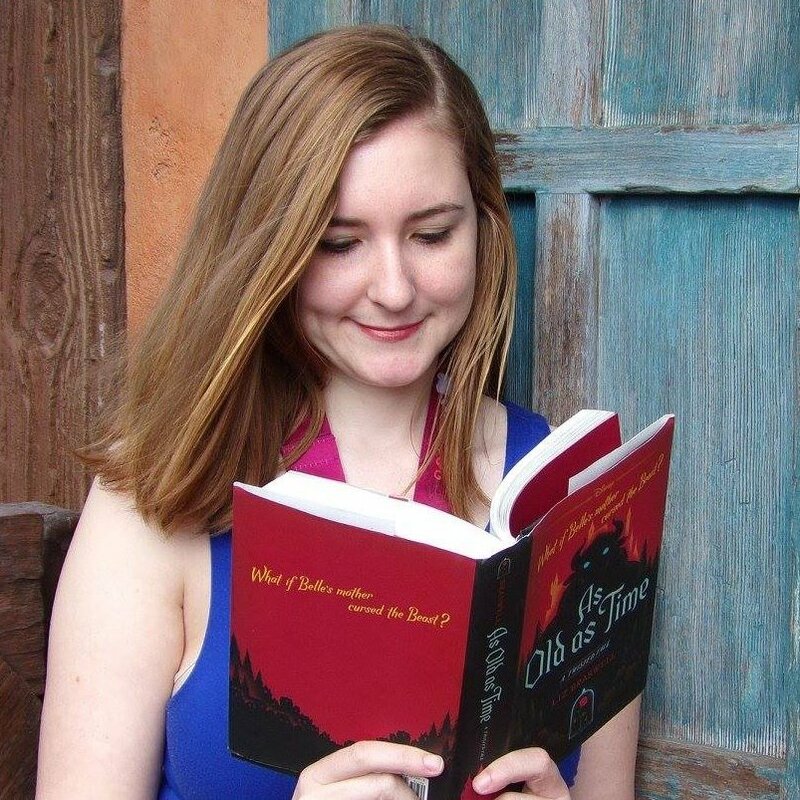 You can read my full book review here but I really enjoyed it, and it was a quick read. Plus I have a giveaway for a copy of the book and a few other fun items happening over in that post, so you should check it out! What’s in your mug? And what are you currently reading?